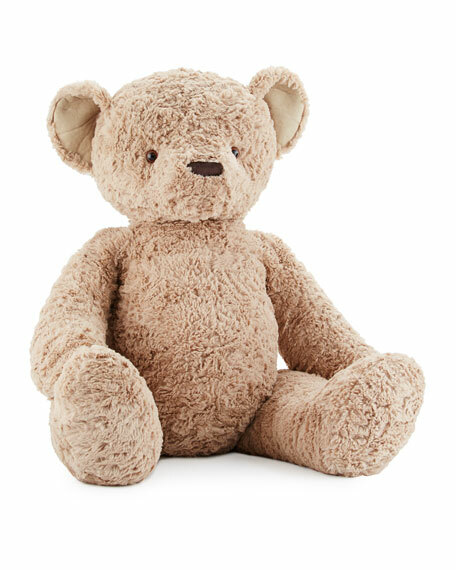 Jellycat "Stanley" huge stuffed teddy bear with textured, ruffled fur. Plastic pellets to keep upright. Suitable from birth; do not leave in cot or crib. For in-store inquiries, use sku #1928641. 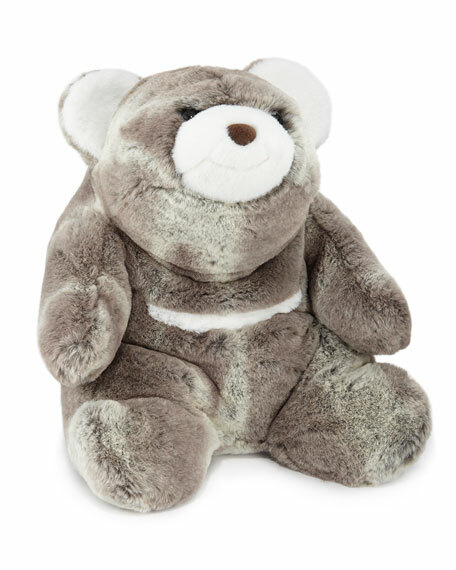 Gund Snuffles the Bear plush stuffed animal. Approx. 10"W x 12"T. Polyester. Imported. 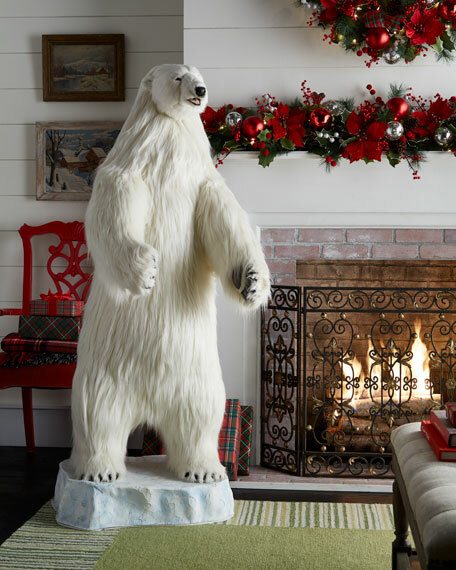 Singing polar bear collectible. Sings 16 holiday favorites. Faux fur (polyester/acrylic). 37"W x 35"D x 59"T. Imported. 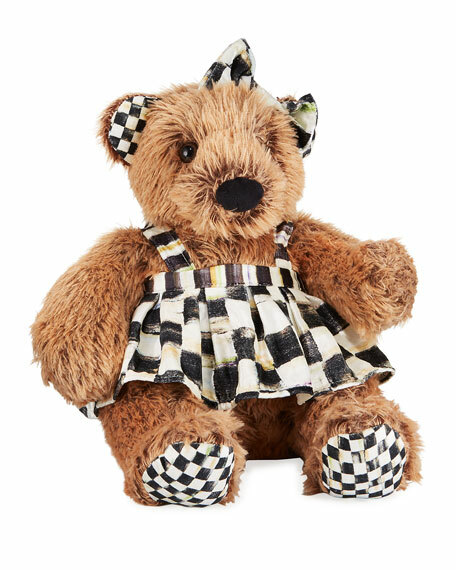 MacKenzie-Childs "Kenzie The Bear" stuffed animal. Courtly Check trim. Approx. 20"H x 8"W. Shell and fill: polyester. Imported. Approx. 24"H x 28"W x 24"D. Recommended ages: 3+ years. 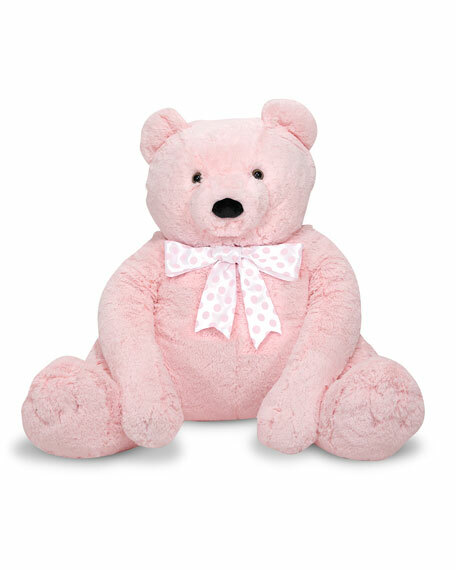 Polyester plush with polyester fill. Imported.